감추고 싶은 피부 결점을 깨끗하게 커버해 주며 칙칙한 피부톤과 눈밑 그림자를 화사하게 연출하며 우수한 밀착력과 지속력으로 시간이 지나도 흐트러짐 없는 피부톤을 유지시켜줍니다. 탄력 저하로 생성된 주름부위에 주름개선 성분이 주름 개선해주어 탄력있는 동안 메이크업을 완성해 줍니다. 기초 손질 후 비비크림을 적당량 손등에 덜어 얼굴에 고루 펴 발라 줍니다. 눈에 띄는 기미, 주근깨 등 잡티 및 눈가와 입가의 주름 등 커버를 원하는 부위에 소량 발라줍니다. 손가락을 이용해 가볍게 두드려 마무리 합니다. Flawlessly covers unwanted blemishes and dull skin tone and under-eye shadows. Long-lasting formula maintains even skin tone for a long time. Anti-wrinkle ingredients flatten wrinkles caused by loss of resilience for plump and youthful makeup. 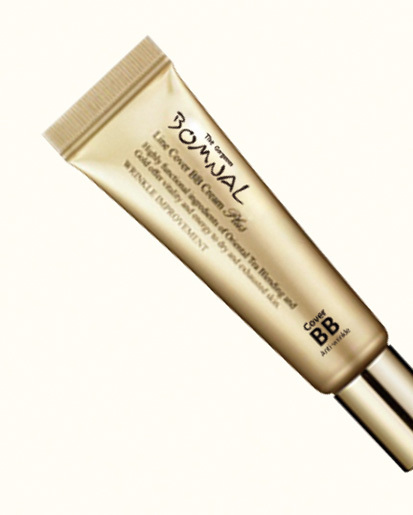 After basic skincare, an release appropriate amount of BB cream on the back of your hand and evenly spread over face. Apply extra to cover visible freckles and blemishes and fine lines around eyes and lips. Gently tap with your fingertips to finish.